Gone are the days when we used to have telephones in our home to get internet access through dial-up connections. I remember how annoying it was, having to wait for hours to get a picture loading, or waiting for a single music video on YouTube to play seamlessly. I used to love playing Farmville and other online games but this type of internet connection was not for me. It was slow and not much of use when it came to streaming movies or downloading. I missed having an internet connection with a high speed and so I needed a solution. I was eager to know how to get internet without cables or phone lines and my friends were also generous enough to show me various options, but I needed an option that would involve less or no wires at all. Let’s face it, we all hate cluttered wires lying here and there on the ground. I used to be pretty noobish about these techie details, but I eventually found out what I was looking for. I was finally able to get over telephones and welcomed these great devices that allowed me to get rid of cables once and for all. How to Get Internet Without Cable or Phone Lines? The first thing that crossed my mind when I cut my telephone lines was whether other choices were affordable or not. With the advanced technologies, now we have a vast number of cost-effective options to choose from. For starters, you have to find out what kind of internet service providers (ISP) are available in your region. Call each ISP company and find out the packages they have to offer. Make sure you know what kind of charges are at stake here. You don’t want to be shocked at your own monthly internet bill at the end of the month. Aim to get more details on download speeds, data capping, price ranges and other additional costs. Get an internet package specifically suited to your needs. However, sometimes, you won’t get as much speed as the network provider advertises. It also depends on the device you will use that will provide the internet throughout the whole house. Technically, you can’t get an internet connection without ISP, but you can get it without telephone lines. 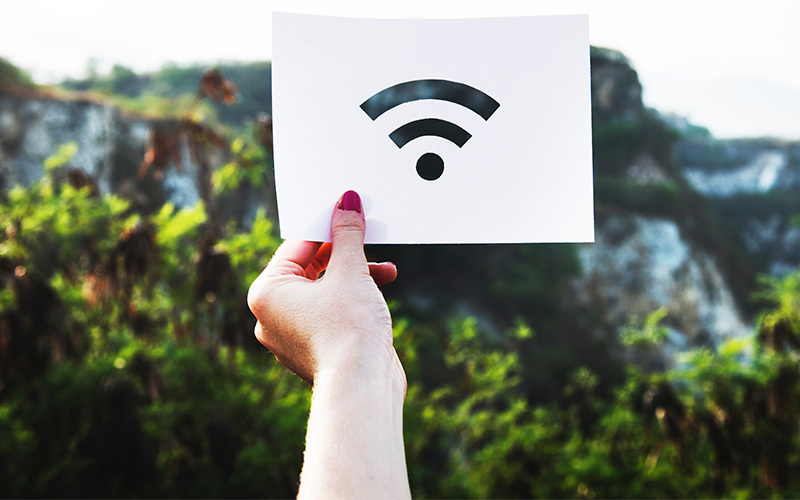 Here are some devices and connection methods that you can use to get access to the internet without having to worry about the cluttered wires and telephone lines. You can use these devices to set up Wi-Fi and hotspot so that the internet can be used around your entire home. A modem receives the internet data from the ISP and router dispenses the services to various devices. A modem router combo serves both these purposes at once, so you don’t need two separate devices or more wires for this purpose. Buying modem and router separately is more expensive as well. Modem routers are so much easier to set up, making them perfect for the beginners and moderate-level internet users. Your internet service provider can provide you a modem router combo compatible with their services, but you’ll have to pay a monthly fee for it. The good side is that if there are any repair issues with the modem router, they will provide you with technical support, reducing your hassles. However, you could opt for buying your own modem router combo if you don’t want to pay the monthly fee. Buying one is definitely a more affordable choice. What’s more is that you can alter the modem router’s advanced settings however you want, which you can’t do with a rented modem router. A common misconception is that Wi-Fi is actually the internet. When you hear the word “Wi-Fi” many automatically think of the internet but nothing else. In fact, the two are not even remotely the same. You’ll hear many people ask, “can you get Wi-Fi without Internet?” The answer is, yes! You can get Wi-Fi access to many devices, including laptops, phones and TVs. But if any of these devices is not connected to the Internet, you will not get access to the internet – it’s as simple as that. For example, if your laptop is connected to a modem router and has internet access, you can connect your phone to your laptop for the same purpose. However, once you disconnect the modem router from the laptop, your phone will remain connected to it by the Wi-Fi hotspot, but will not get any internet connection. As said before, the internet has nothing to do with Wi-Fi! You can get Wi-Fi without having the internet, but what happens when you can’t get an internet connection without Wi-Fi? The answer lies in the Bluetooth compartment of your phone! Your phone and laptop can connect with each other over a personal area network (PAN). Here are a few steps to ensure you can set up PAN and use the Internet when your Wi-Fi is gone. Activate the Bluetooth option on your phone and allow it to be visible to other devices. On your personal computer, head to the Bluetooth program manager. It doesn’t matter whether your PC runs on Mac or Windows, the setting to connect to another Bluetooth device is available. You must turn that on. When your PC discovers your phone, pair them by Bluetooth. For pairing they might ask for PIN. The PIN would be mentioned on the screen or in Bluetooth settings. You will be asked what connection you want to use. If you choose PAN, your laptop will get a working internet access. This way, you are basically using your phone as a modem for internet access on your laptop, without Wi-Fi. This can also be done via USB tethering but that would require a specific wire. How to Get Internet Connection Without Cables? If you want to get rid of cables then you can cut the cable subscription and get that Internet subscription you have been waiting for. TVs have now become way smarter than what they used to be before. The Internet has given us unlimited access to various games, apps, movies and shows, and we don’t really need cables for this anymore! We now have Android TV, which is basically an operating system that your TV can use to access games, videos and streaming apps, such as Netflix. Any game you played on your TV can be paused and resumed on your phone. You can also share files and other content. Sling TV is also similar, but it streams live television without the need of a cable or satellite access. Your device must be compatible to Sling TV in order for it to work. If your TV is not compatible but your phone is, you can cast content from your phone to your TV! Hulu, Netflix and Amazon Prime Videos are good video-streaming services, but they do not provide live television like Sling TV. They offer their own content on-demand. PlayStation Vue is another alternative to cables and the best part is, you don’t need a gaming console for it. All you need to do is create a free PlayStation account and get the Vue app! You can easily stream live television on compatible devices. Unlike Vue, YouTube TV has a cheaper subscription plan and you can add extra cable channels by paying a bit more. DirecTV Now is another live TV streaming service, which does not require satellite connection anymore. It used to have the cable subscription, but now all you need is an internet connection and subscription. A unique feature of DirecTV is that it offers access to the CBS network, which many other services cannot. If you are a fan of the CBS network, you can subscribe to CBS All Access, which provides only shows owned by CBS. It also delivers CBS exclusive content. As you can see, living a wireless life is not that hard after all. When you have an internet connection, you can easily get rid of those annoying cable lines and tangled up telephone lines. The Internet can be everywhere, from phones to PCs to TVs. There is no need of gaming consoles or cable subscriptions to access the live TV now. Various websites and apps readily provide online gaming content and video streaming services. If you are not a fan of streaming but you are more into downloading, using high-speed Wi-Fi with internet access can get you anything! Honestly, I don’t remember the last time I saw a wire. I’m doing pretty good and I’m sure you will also enjoy the wireless life when you start it. Previous articleHow a Binocular Harness Can Change Your Hunting Game for the Better! Modem vs Router vs Switch: What Differences Do They Have?